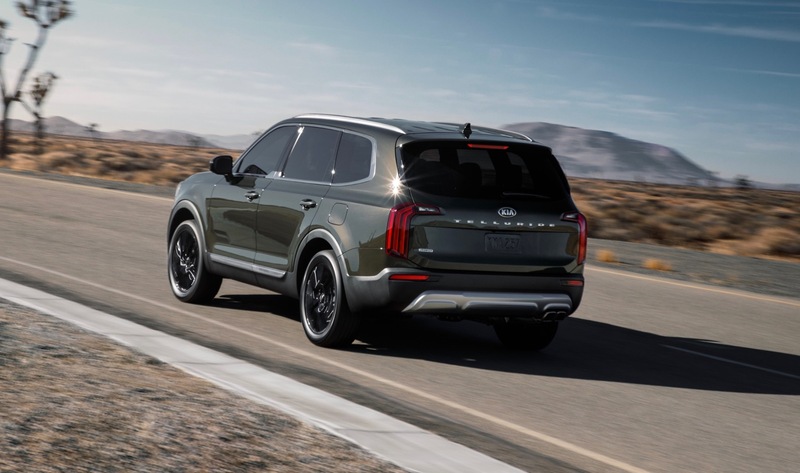 The 2020 Kia Telluride is officially going to arrive this spring and now Kia has released the pricing for its new flagship SUV. 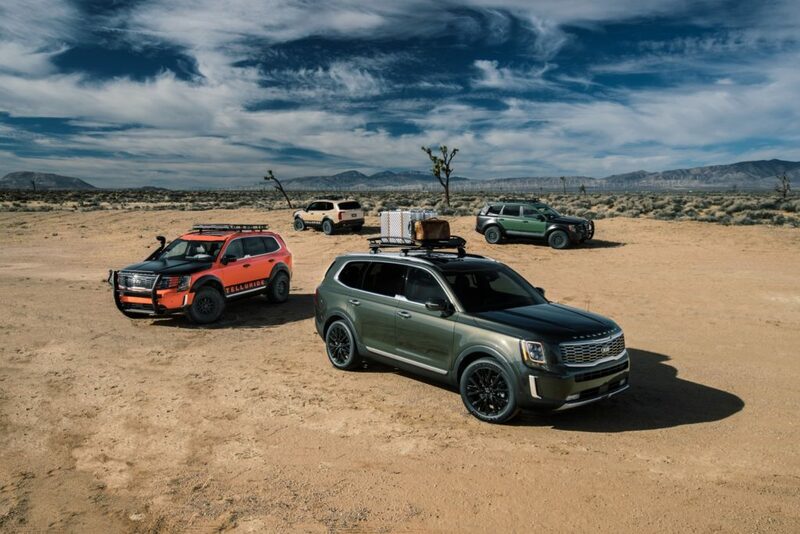 The 2020 Kia Telluride will be offered in four trim levels: LX, S, EX and SX. 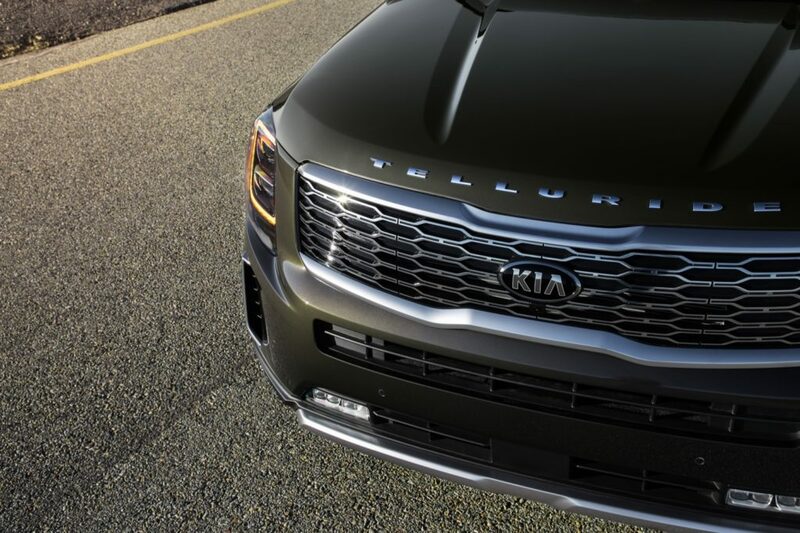 The base Telluride LX starts at $31,690. 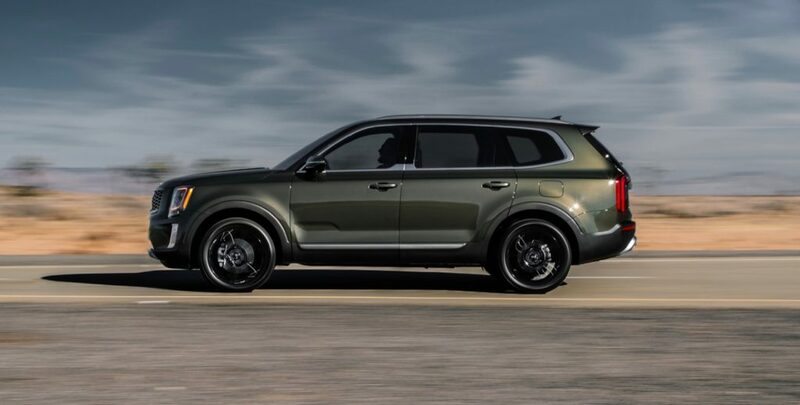 It comes standard with 18-inch wheels, 8 seats, synthetic leather seats, an 8-inch infotainment system, adaptive cruise control, forward collision avoidance assist, lane keeping assist and a blind spot monitor. 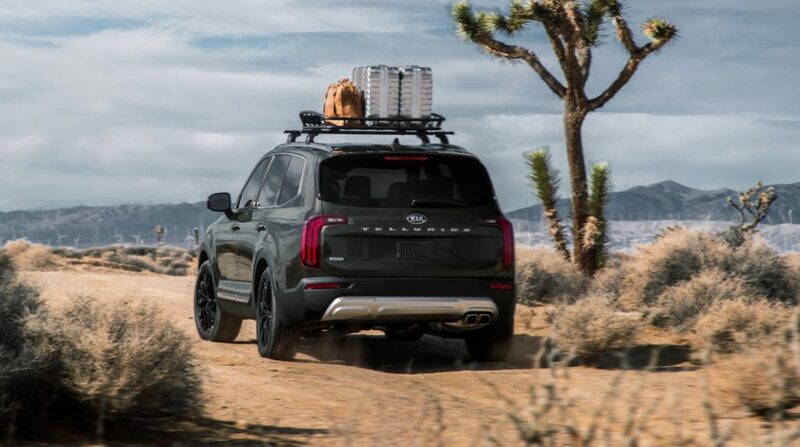 The Telluride S starts at $33,990 and adds 20-inch wheels, a front sunroof, heated front seats, second row captain chairs, and a 10-way power driver’s seat. 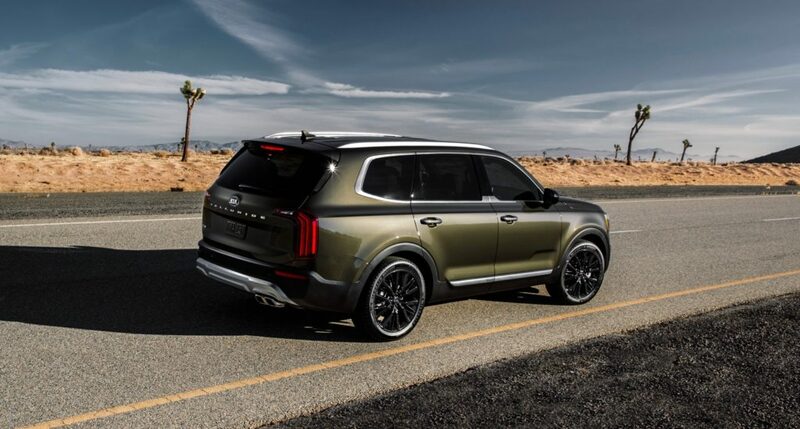 The Telluride EX starts at $37,090 and adds 18-inch wheels, leather seats, a 10.25-inch infotainment system with navigation, ventilated front seats, an 8-way power passenger seat and a full second row bench seat to give it room for up to 8 passengers. 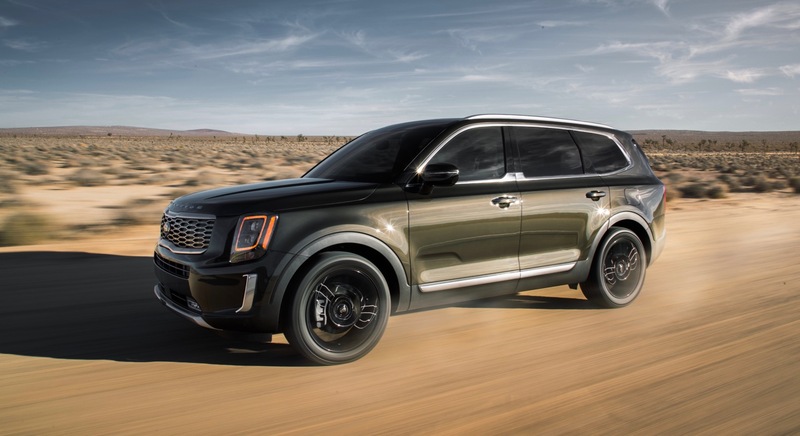 The top spec Telluride SX starts at $41,490 and adds 20-inch black wheels, LED headlights and fog lights, dual sunroofs, second row captain chairs, a Harmon/ Kardon audio system, and a surround view monitor. 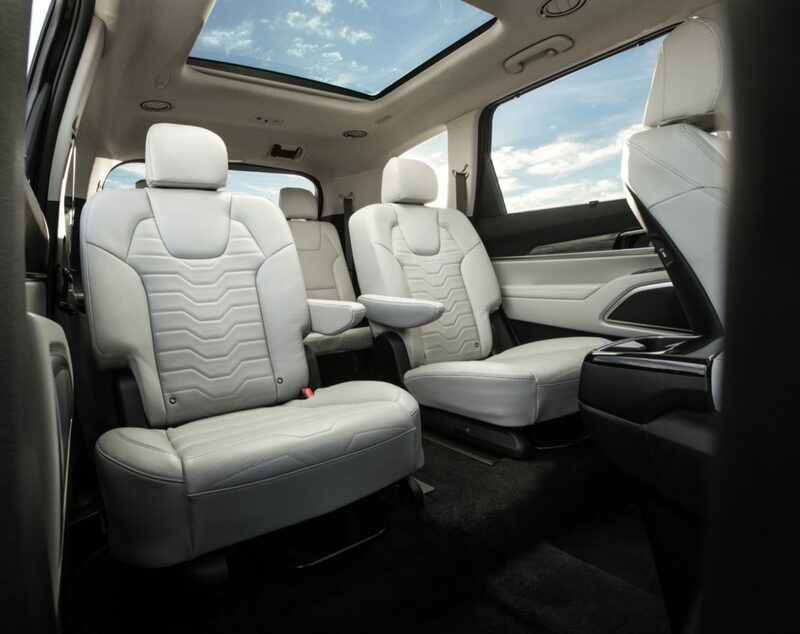 There’s also SX Prestige option package that lists for $4,000 and adds all-wheel drive, Nappa leather seats, a head up display, ventilated and heated second row seats and a heated steering wheel. 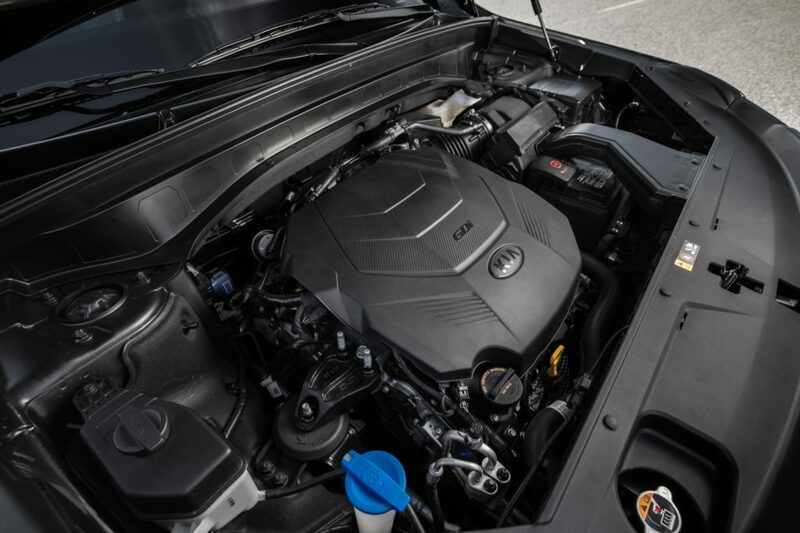 All trim levels are powered by a 3.8L V6 with 291 horsepower and 262 lb-ft. of torque that’s mated to an eight-speed automatic transmission. 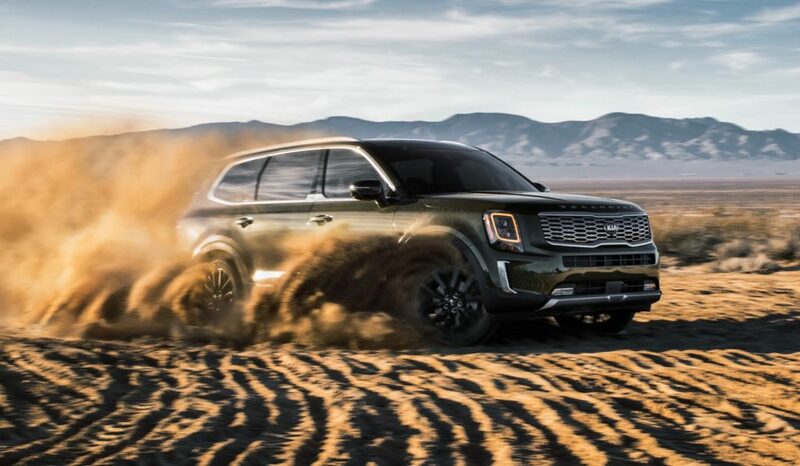 The 2020 Kia Telluride can also tow up to 5,000 pounds.